We’ve all heard about the importance of getting beneficial bacteria into our bodies, via yogurt and supplements. Those supplements can be expensive, but we’re constantly bombarded with news that tells us that yogurt just doesn’t contain enough of the different types of lactobacillus strains. But yogurt isn’t your only option. 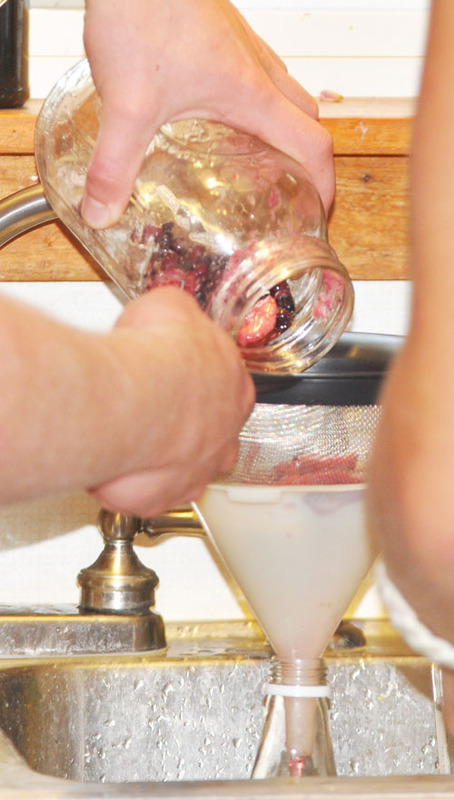 Any food can be lacto-fermented by using whey or root vegetables. This opens up quite a bit of options for us. Fermented pickles, for example, the kind fermented without vinegar that you find in the refrigerator aisle of the health food store, are a great source of lactobacillus. Ginger, a root vegetable, contains naturally high amounts of lactobacillus. 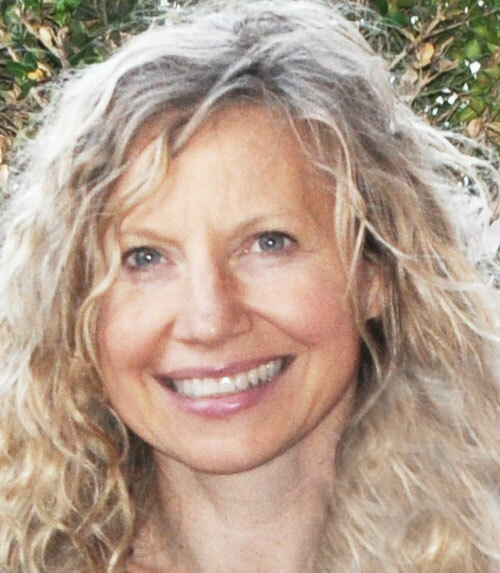 This makes ginger a good source to create a culture to help you lacto-ferment foods — for our purpose — fruit — to make soda pop. Ginger is transformed into a Ginger Bug, to create the agent that transforms fruit into soda pop, with the by-product of loads of beneficial bacteria for your gut. And here’s the best part, the bug eats the sugar. So, while the drink tastes sweet, there is little sugar left in the drink. Learn how to create your own Ginger Bug, here. If you have bored, whinny kids this summer, and plenty of berries — gather them up, and create some healthy, science fun. Bottles with screw top caps. Plastic water bottles are a great option — as glass can explode during fermentation. Cooler, if using glass bottles. Note: You can make smaller batches in quarts — adjusting proportions, using 1/4 cup of Ginger Bug. Add water to saucepan, and add sugar. Heat to boiling to ensure sugar dissolves. Let water cool enough for you to handle. 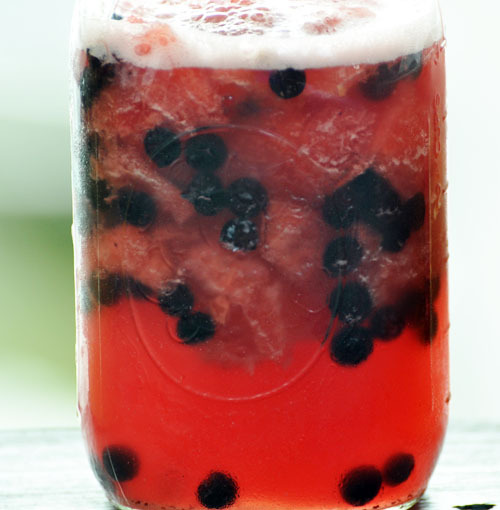 Add fruit to gallon jar. Experiment here! We have several different flavors going — strawberry/watermelon, kiwi/blueberry, mango/pineapple. I have yet to try strawberry/basil, and blueberry/sage. 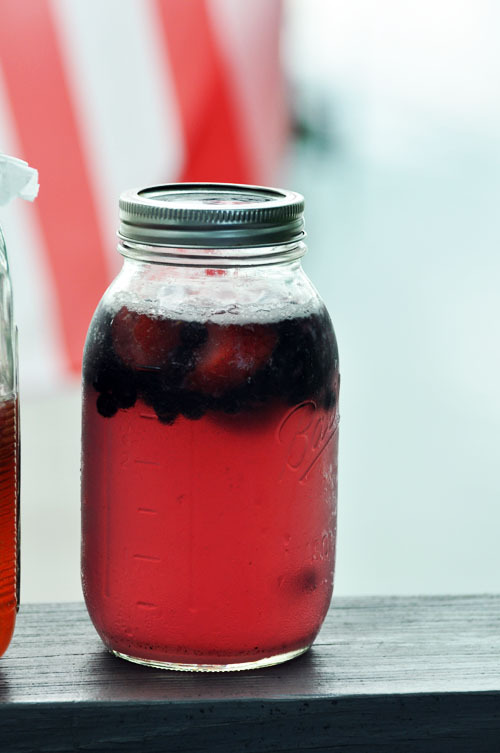 Pour cooled water and Ginger Bug (can be warm — just cool enough for you to handle) over berries. Cover jar with a coffee filter, with a rubberband. You want a seal to keep bugs out, but not enough to make it air-tight. 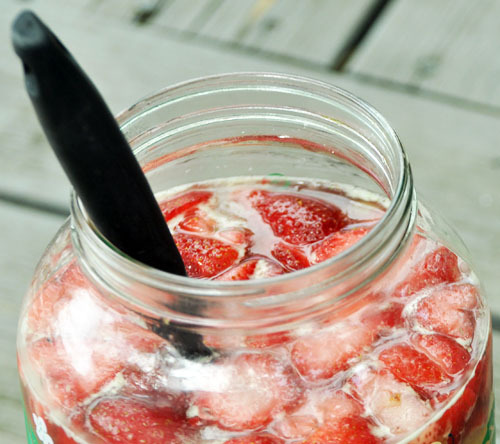 Let jar sit overnight — at least 24 hours — no longer than 72 hours. When ready, set up your equipment. You’ll need your bottles lined up by the sink, ready to go. 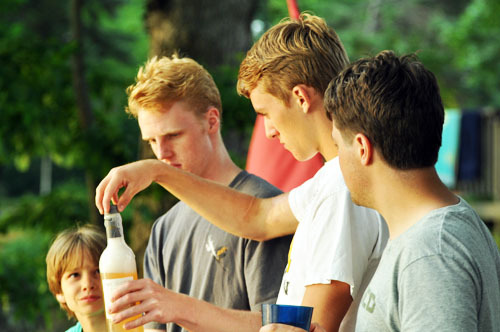 Put your funnel into the bottle, with the strainer on top of the funnel. Pour your fruit water from the gallon jar into the strainer, catching the fruit, while the liquid is free to run into the bottle. 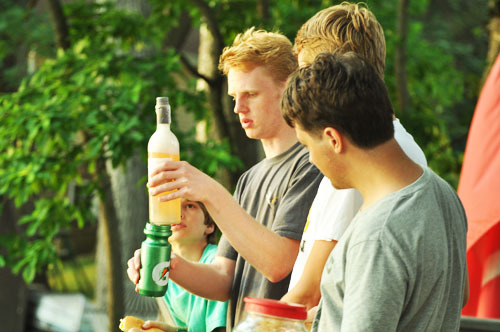 Keep your eye on the bottle — the fruit water will be foamy– and will fill up the bottle fast. You need at least 3 inches of head space in each bottle — for carbonation. Keep moving to the next bottle until the jar is empty. Seal your bottles. 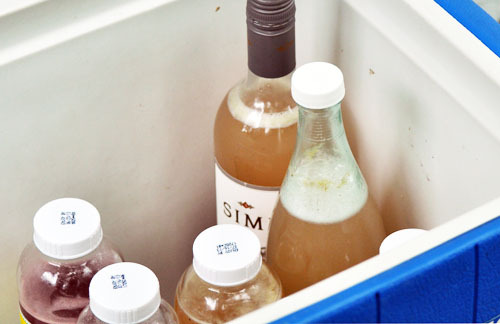 Place them at room temperature in a safe place — like a cooler — so that carbonation can build up. If an explosion happens, the cooler will contain the damage. In less than 24 hours, place your bottles into the fridge, slowing the fermentation — and to create the cool refreshing taste of a great bottle of fresh soda. Open bottles carefully! 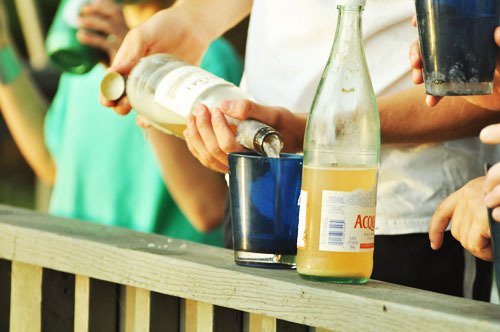 Outside… sometimes the fizz just goes and goes and goes! You Know What's Really Amazing? I’m currently making Ginger Bug and reading over this recipe for the fizzy fruit juice I can’t see where you add the ginger bug???? I have read over it several times but seem to be missing at what point you add the ginger bug to the fruit and water mixture?? OH yes! Add it straight with the water. All of it is mixed at the same time.